The results for nuclei above curium, produced in multi-nucleon transfer reactions of 48Ca + 248Cm at the velocity filter SHIP of GSI Darmstadt, are presented. Spontaneous fission and \( \alpha\)-activities have been used to study the population of nuclei with lifetimes ranging from few milliseconds to several days. We observed several, relatively neutron-rich isotopes with atomic numbers \( Z \geq 98\); among them a weak 224 millisecond activity which we tentatively attributed to 260No. The measured cross-sections of the observed nuclei give hope that multi-nucleon transfer reactions are a way to reach new neutron-rich heavy and superheavy nuclei, which are not accessible in other reactions. We compare our results with data from earlier experiments and discuss limitations and future perspectives of the method. 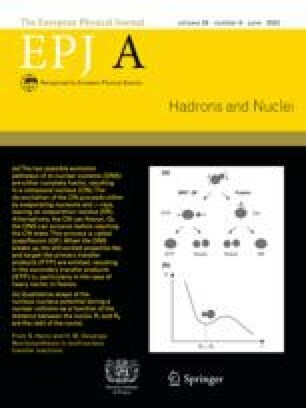 An erratum to this article is available online at https://doi.org/10.1140/epja/i2019-12737-y.